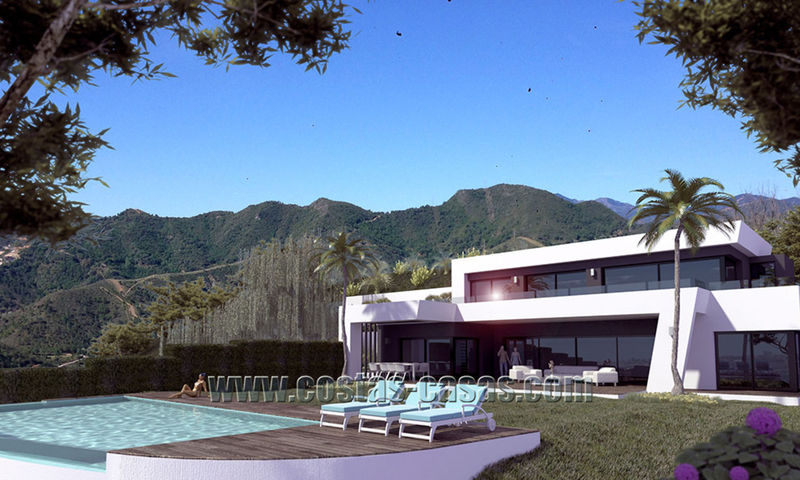 Modern New Villa For Sale in Marbella with panoramic sea view. The villa project is offered as a comprehensive package deal: turnkey in every sense of the word. 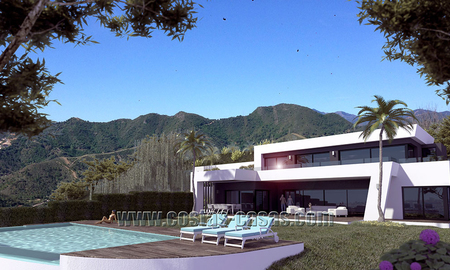 The villa has been designed in ultramodern style and is to be located on a hillside close to downtown Marbella. 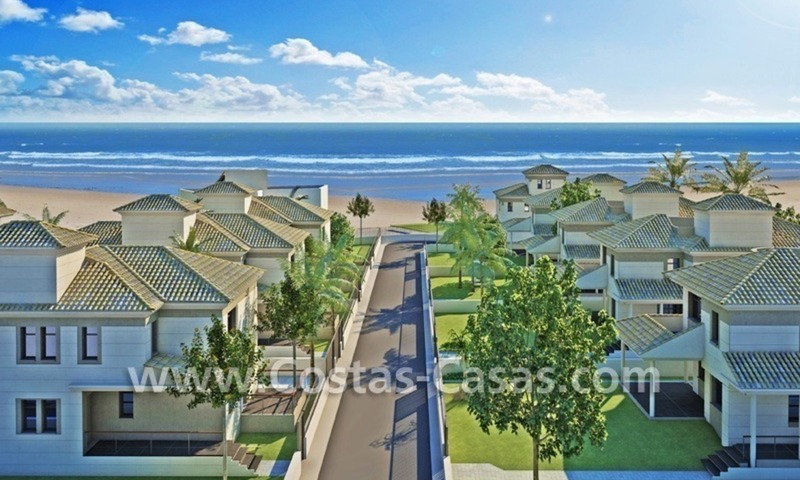 The property will be part of a quiet residential zone just minutes away from the beach and a great many shops and other amenities. The villa is south facing. 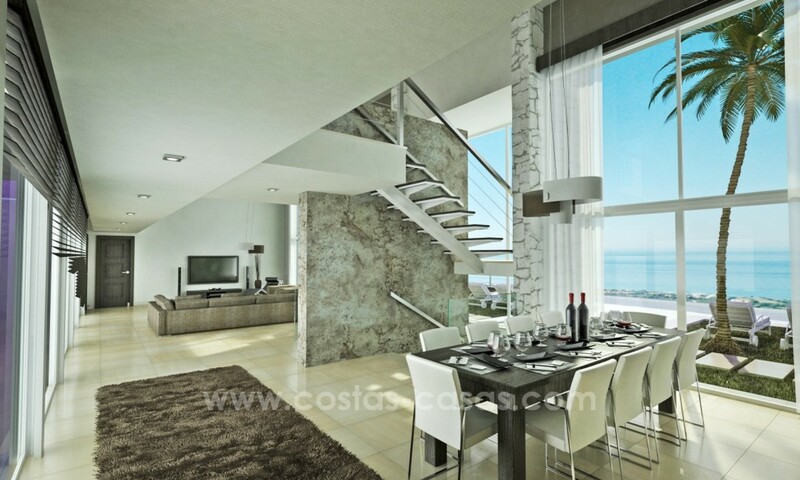 The wonderful and practical residence offers gorgeous views of the Mediterranean Sea and the coastal mountains of Morocco. This villa will be custom-built. This means that its buyer may adjust the design and all specifications to best answer his/her needs and requirements. Changes may be made to the layout, materials used, colours chosen, and options. The cited price is for the design as-is, where-is. In case the buyer wishes to make changes or opt for another building plot, the price will change accordingly. 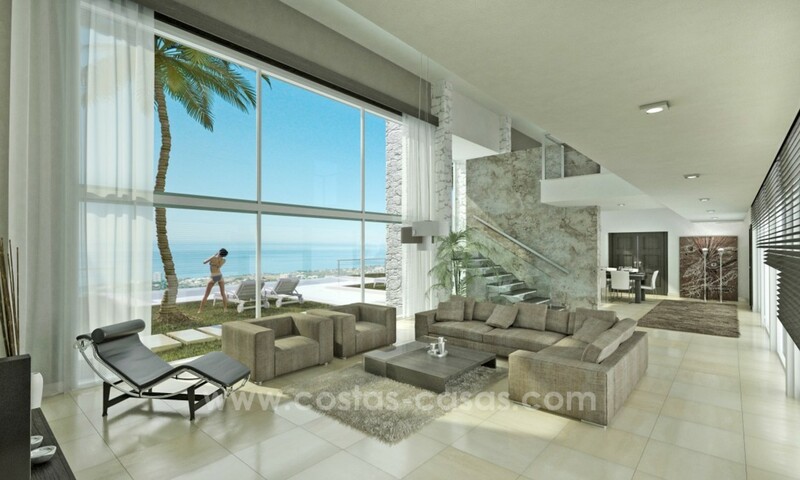 All documents pertaining to this particular design are available for inspection at the offices of our architect in Marbella. 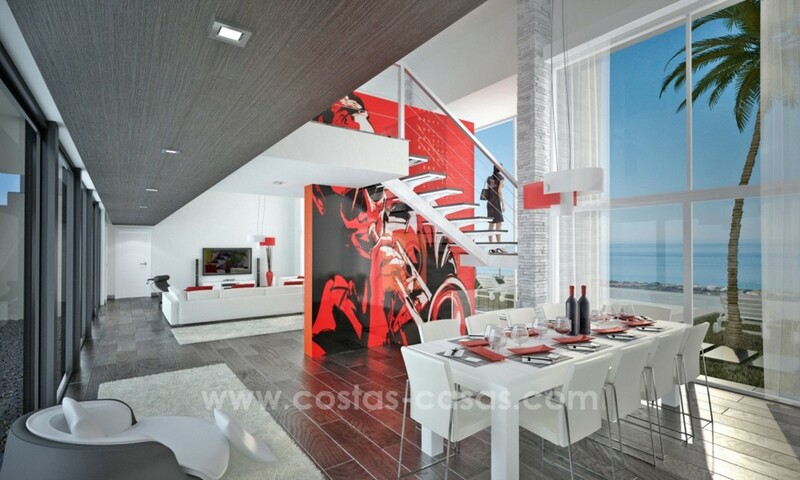 Here you can also finds answers to all questions regarding this design and the construction process. 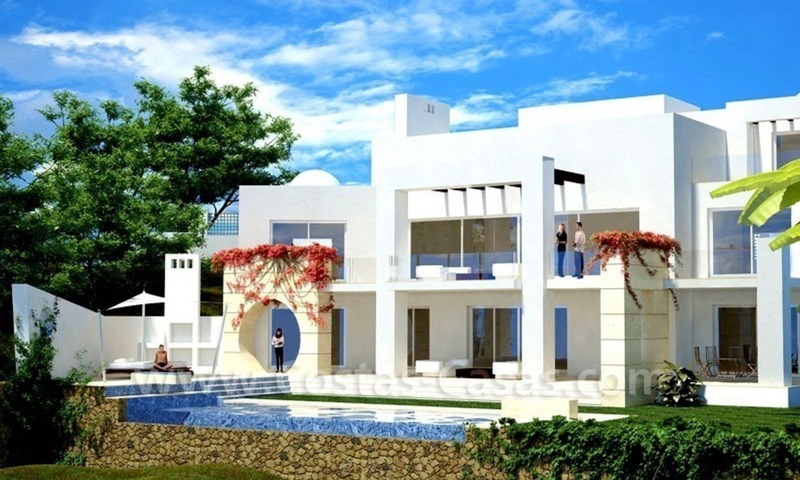 Right now, these turnkey villas are quite possibly the most competitively priced option available in Marbella to acquire a newly-built and contemporary-styled villa. On this much sought-after stretch of the Costa del Sol, villas such as these easily command prices much higher than the cost of construction.